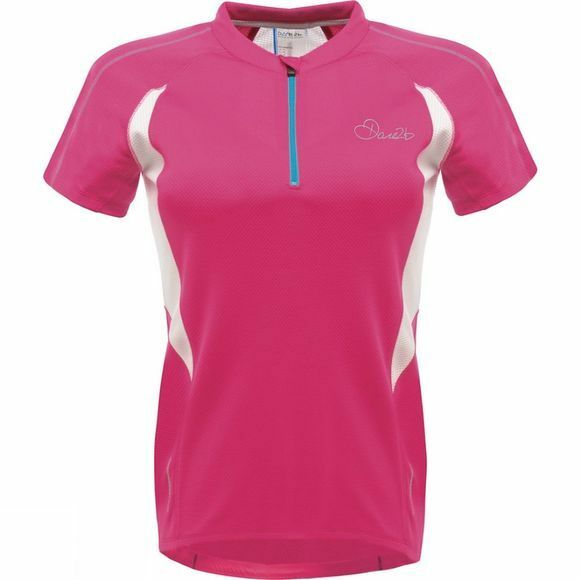 The Women's Configure Jersey from Dare 2B is an excellent wicking tee for high octane cycle rides. It is quick drying to help keep you feeling comfortable for longer while the zip neck and mesh venting zones are great for extra ventilation when you need it the most. A zipped security pocket makes the perfect place to stash your keys and reflective detailing offers better visibility in low light conditions.